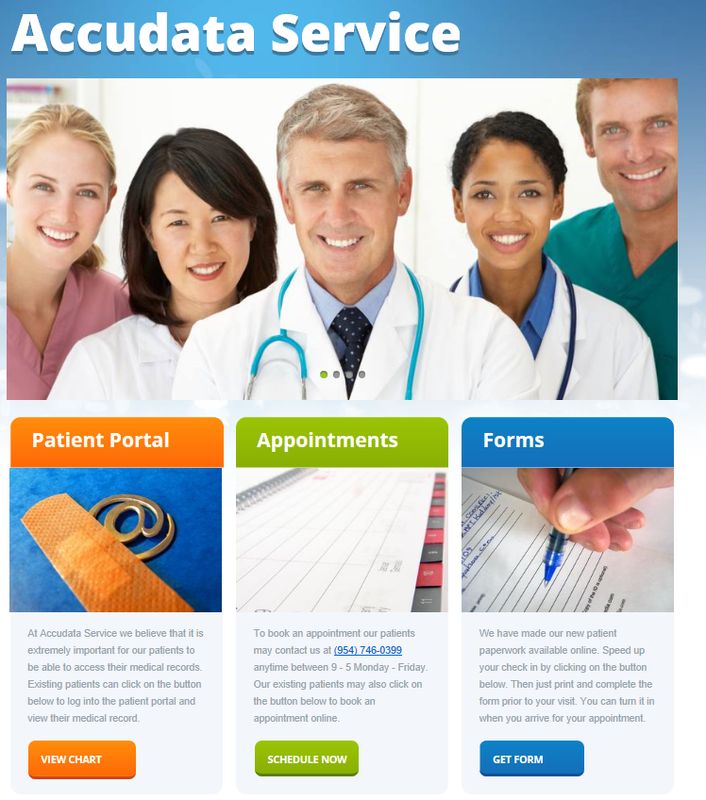 Websites for the Medical Practices: What You Need to Know – Accudata Service, Inc. In the age of the internet, customers expect that their provider will have a secure website where they will be able to obtain information and interact with the office. Many patients search for a provider online first; if a provider does not have their own website then you are at the mercy of third party online review sites which will either show nothing at all, making you appear inexperienced or, worse, it can list a negative review of which you are completely unaware. Our Communications Specialist, Bailie, digs deeper into the necessity of a website for a medical practice in her article, "A Website Is More Necessary Than You Think." You can read her article here. In recent years, we have even seen CMS encouraging the use of patient portals to avoid payment reductions and possibly gain incentive payments in the Quality Payment Program. Lucky for you, creating an online presence will only require that your practice obtains and implements a few simple things that will allow you to have a secure website. Many IT service providers offer a simple package to create a simple website for your company. (Click the wink wink link to request a call from you Account Advisor). What Can I Do With A Website? You need to keep the website very simple and easy to use. Start by including some basic pieces of contact information as well as photos of your building, office, and staff. The next step is to include your new patient paperwork as downloadable forms that your patients can download and complete ahead of their visit. Finally, we strongly recommend that our clients benefit from the following features available through their Medisoft practice management and electronic medical record software. 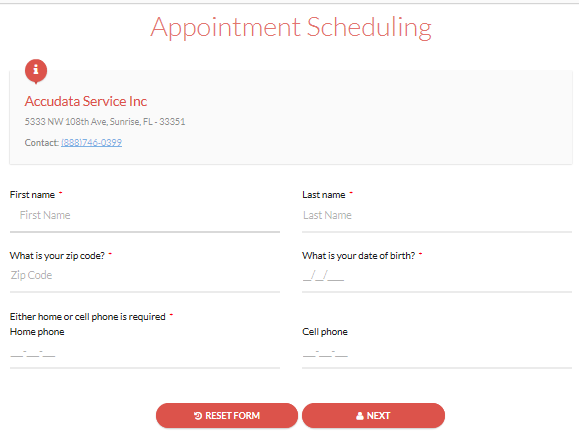 Medisoft now includes online appointment scheduling for existing patients. Simply activate the feature on your Medisoft server and you will be provided with a link to add to your website that allows a web enabled patient to enter their first name, last name, date of birth, phone number, and zip code to book an appointment via your website. This appointment will then appear in the Office Hours scheduler, just like the appointments booked by your receptionist. The patient will also be given the chance to notify your practice of updates to their demographic and insurance information. This information will be held in the system for your team to review and accept or ignore the changes. The patient portal is available with Medisoft Clinical and allows patients and providers the ability to view patient records online via a link on your website. The practice can select which sections of the chart are available on the portal for their patients to access. The patient is a huge time saver when patients can log in and see if they received the flu shot this year or provide a printed copy of their medical record for a specialist appointment. For non-urgent issues patients can also use the portal to send secure messages to the clinical staff and providers, instead of calling the office. This allows patients to request prescription refills or ask questions without having to tie up your front office. As a bonus, the message is immediately included in the patient's medical record so there are no additional steps needed to document the interaction. Using a service like BillFlash ePay you can include a link on your homepage where your patients can use a credit card to easily and securely pay their outstanding balance. Since BillFlash is integrated with Medisoft Network Professional, it is easier than ever to create, send, and receive payment for your patient responsible balances. What Should I purchase to Start a Website? This is the part o the web address that comes after "www." which shoul dbe unique and specific to your provider/practice. You may not be able to obtain www.FamilyPractice.com, however you may be able to get www.DrLastNameHere.com or www.YourFamilyPractice.com. The thing to keep in mind is that you will have to be able to clearly communicate the addres to your patients over the phone so it is best to use words that are easily understood like the city, practice, or providers' names to make this easier to understand. An SSL certificate is something that works best behind the scenes to make sure that the connection between your website and your patients remains secure. Wit an SSL certificate, traffic to and from your website will be encrypted, ensuring that the traffic cannot be easily intercepted. Many people are not aware that they should check that the website they are suing starts with https:// and shoes a lock icon in the address bar. This indicates that the site is protected by an SSL certificate. The two images below show how this looks in Google Chrome and Microsoft Edge browsers. Your practice will need space on a server to host your website. This is typically purchased along with the SSL and Domain Name. The server is where your website will be created and accessed by the rest of the world. This is something that you can do yourself with website creation tolls, or you can hire a third-party vendor to create your site. The cost of service can vary widely depending on the group hired and what is included in the offering. Help Me Create a Website! Accudata started offering a website creation service exclusively to our Medisoft customers so that they could take advantage of these new web enabled features in their software as inexpensively as possible. You can look at a sample website that we created at http://demo.accudatait.com. This includes a simple and colorful homepage where patients can access the patient portal, online appointment scheduling, and intake forms. If you are interested in creating a website and do not have the time or desire to create it yourself, please feel free to reach out to an Account Advisor by calling us at (954) 746-0399 or simply send us a message by clicking here.